Since the Second World War the provision of energy has depended primarily on a supply of oil. In Mandatory Palestine, and subsequently in the fledgling State of Israel, attempts to acquire oil came up against two basic and related problems: first, an almost total dependency on foreign markets; and second, its relatively high price. 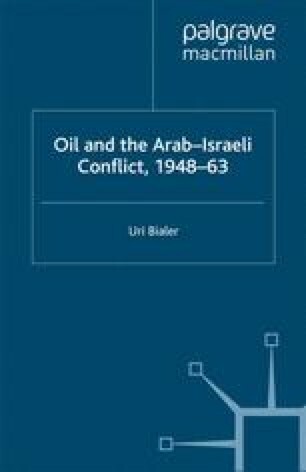 While the bulk of our study refers to the first years of statehood, background information concerning the pre-state period provides some insights for a better understanding of the early stages of Israel’s effort to ensure provision of oil. The first chapter, therefore, deals with characteristics of the consumption and supply of energy in Palestine from the late Ottoman period until the establishment of the State of Israel. It discusses the changing dimensions of demand in this area as well as the sources and conditions of supply, mainly under British rule in Palestine.